During the blackout in 2003 I hoofed it home as fast as I could knowing that Emily and the cats were closed in the house. I didn't know how long I had after the AC went out before it would get unbearably hot in the apartment. About 3 hours later, well before sunset, I arrived to find the apartment cool and my dog already walked. My friend, Diane, had hiked up to her 9th floor apartment, come down with her Newfoundland/English Setter mix and walked the dogs. She was still out and I found her in the courtyard so we took a long walk to the park in the eerie darkness then groped our way to our apartments to stay inside until morning. Shortly after that, not related at all to the blackout, Diane moved down South and I only hear from her occasionally. Diane's dog, Portia, was blind by that point, I think. She had a genetic defect that quickly progressed in one eye and then the other. The dimming meant that Portia wasn't surprised by it and she adapted pretty well. She loved me, bless her, even though I accidentally walked her into doors and posts sometimes and I loved her right back. 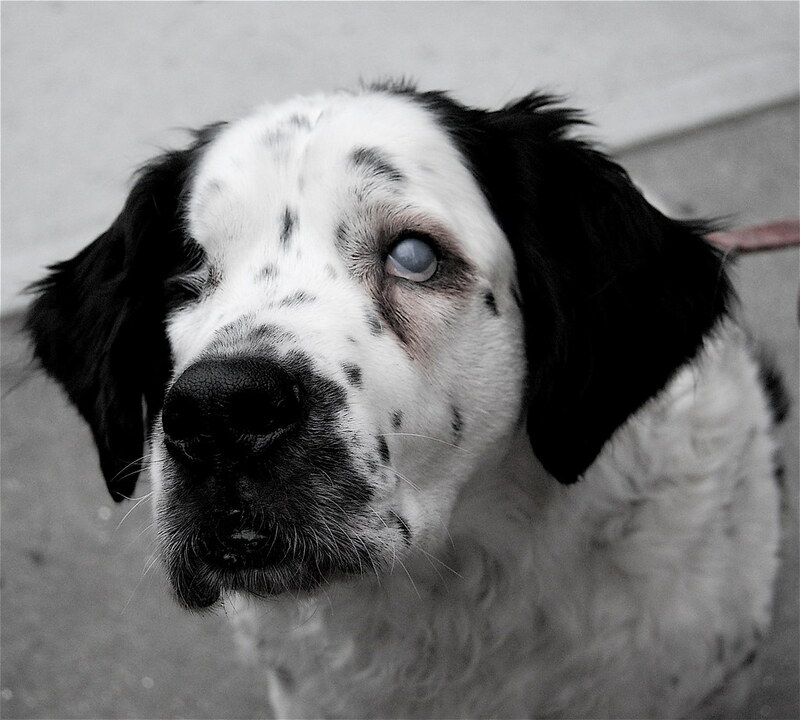 I was surprised to get an email from Diane last night that mentioned that Portia had been blind for 8 years now. It hardly seems that long. Of course that email also told me that Portia had died. Turns out the picture above is the only photo I have left of the girl. That's too bad because she was a gorgeous dog. She deserved to be commemorated more fully. Please give all the pets more love and attention in Portia's memory. Now I'll bet she's watching. I feel like this year is nothing but death and disease. Me too. It's like we changed all our light bulbs at the same time and they just keep blowing every time we turn around.